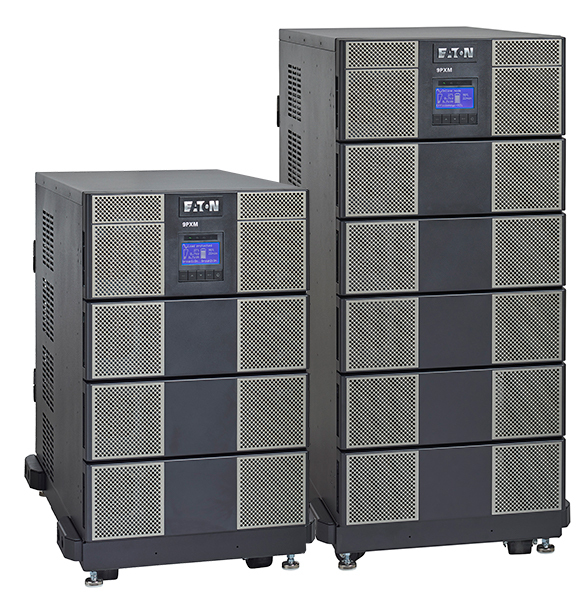 The Single Phase Standby UPS is designed to handle Failures, Sags, and Surges. It covers a range of 350 to 750 vA and is ideal for endpoint power support such as indivual desktop computers and monitors. The Single Phase Line Interactive UPS has fast switching circuitry to address Under & Over Voltages. Models in this line support up to 3000vA and some are configurable for extended runtime with external battery cabinets. They offer good support for departmental racks and network closets.> True Double Conversion Single Phase UPS units isolate critical loads from poor quality power by feeding the load a constant steady voltage and frequency from internal batteries regardless of the line conditions. 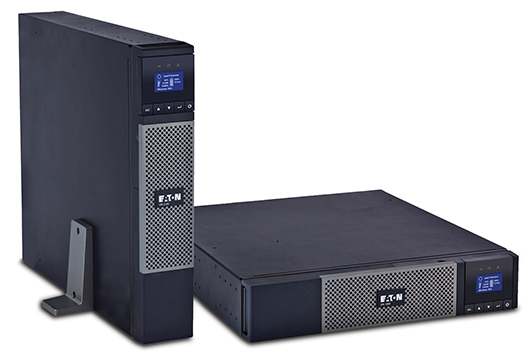 Tower or rack mount models are available up to 20KVA. Units in this series can be configured with multiple options including external transformers, custom output panels, external battery modules for extended runtime, modular redundant components, and external maintenance bypass. 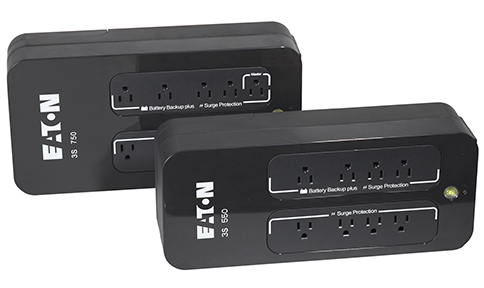 The Eaton three-phase BladeUPS system provides up to a full 60kW with N+1 redundancy in a single rack cabinet. The BladeUPS design offers modular expansion and redundacy features in a three phase environment, with support for external battery modules for extended runtimes. Alternatively, BladeUPS can also be deployed in standard racks to provide 5-12 kW per blade three phase output. 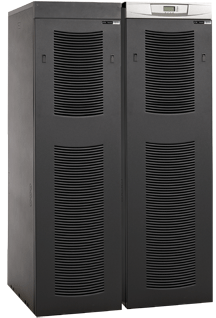 Eaton's 9300 UPS systems provide three phase power support up to 550 kVA, with high efficiency. Eaton units use true double conversion to isolate sensitive components from utility power. These systems are designed to support the growing power consumption needs of high density data centers with options for extended battery runtimes, integrated or external power distribution cabinets and circuit level power monitoring/metering. Eaton offers a wide variety of supporting devices and equipment for your power infrastructure needs, including rack systems, cooling and airflow, metering and monitoring, power distribution and specialty UPS applications. Contact us to discuss the solution that meets your unique requirements.